Flowers are a great way to liven up any space, and they also bring a lot of benefits. Aside from adding more oxygen to the room, looking at nature (even just tiny house plants) have been proven to significantly reduce stress levels. The calming nature of plants have also shown to increase productivity, memory performance, and attention span. While there are many spaces in Singapore where you could find a bit of green, it’s always a good idea to bring nature indoors. While you’re at it, why not spruce up your boring planters with a bit of DIY magic? 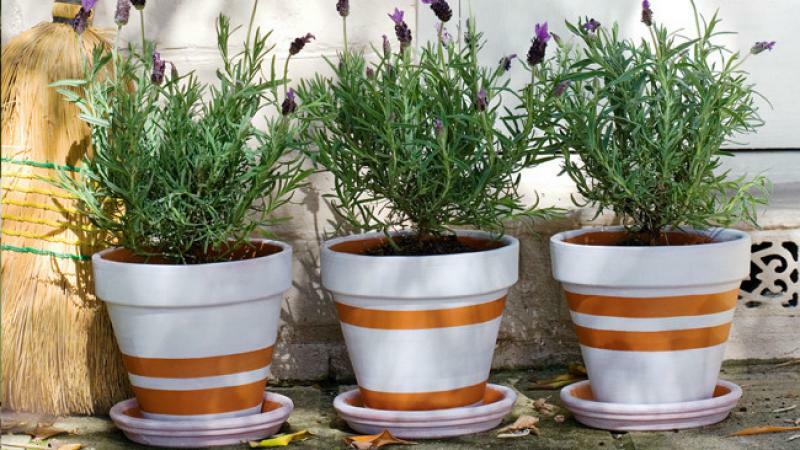 Here are a few DIY ideas to that will help jazz up your planters. One thing you could do to liven up your terra cotta is to do a bit of decoupage. All you need to do is to paint your pot a plain color (off-white works well for this) and cut out shapes from colored napkins. Once the paint is dry, stick the napkins with mod podge, and then add another coat of mod podge to the whole thing to seal it. If you don’t want to decoupage with flowers, there are other materials that you could use. For example, take fabric. You could use fabric of any pattern, as long as it’s not too thick. Light colored, cotton fabric is a safe choice. 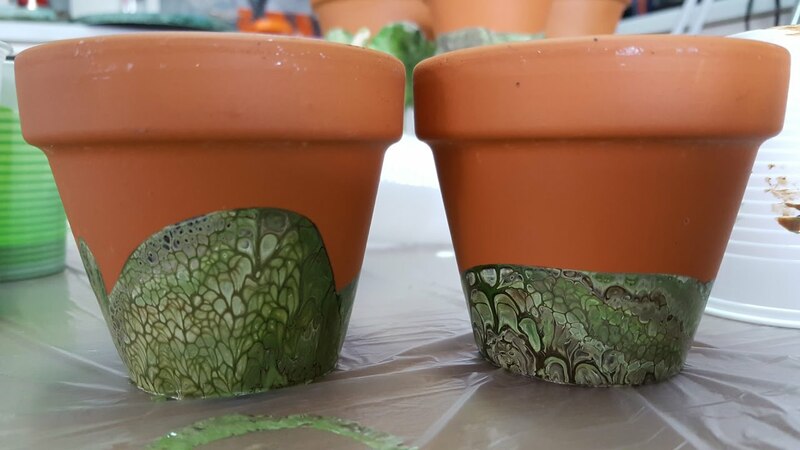 Simply put a layer of mod podge on the terra cotta, then wrap the fabric around the pot, making sure to create an allowance of about an inch at the top and bottom of the pot. Then add more decoupage on the cloth, and press out any bubbles under the cloth with your hands to ensure a smooth layer. 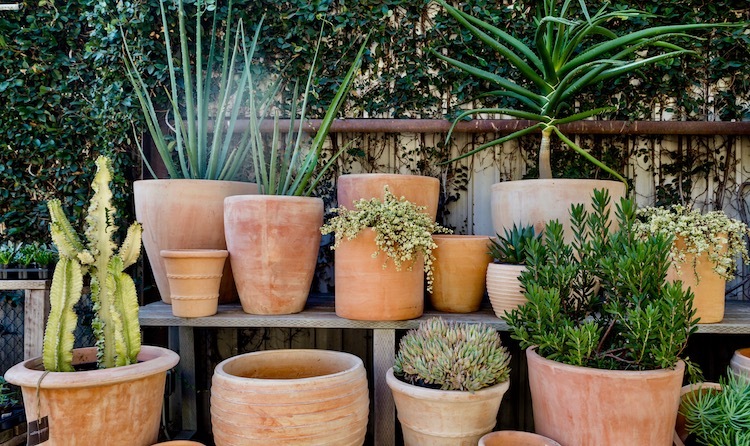 Other than adding decoupage, another thing you could do to terra cotta planters is to make them look older than they actually are. To make your pots look antique, simply spray the pots with fleck stone spray paint, then sand the pot. For an added illusion, dab on some dark green and brown paint to mimic dirt and moss. Using chalkboard paint gives you an extra bit of function to your pots. If you’re planting herbs, you could write down the names of each herb to remember which plant is which. To avoid overwatering, you could even write down the date of when you last watered your plant. If you’re giving your plant as a gift, you could write a short note, or draw a small doodle. To use chalkboard paint, simply put two even coats of paint on the planter of your choice. Make sure that each layer dries completely, then put chalk to paint and get creative! This entry was posted in Arts and Home Insights by Editor. Bookmark the permalink.